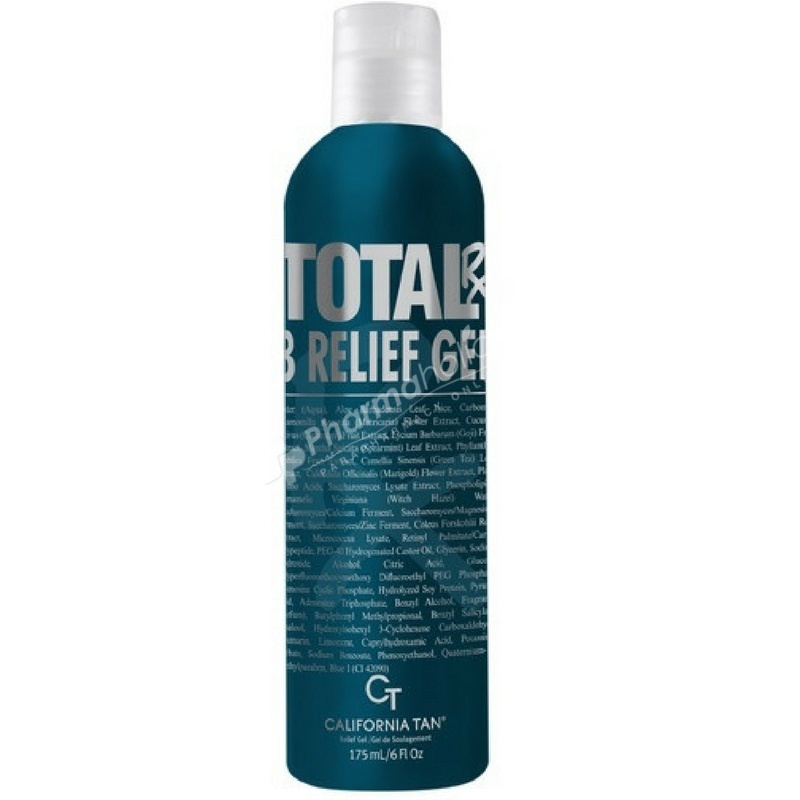 California Tan Total Rx 3 Relief Gel conditions and soothes skin while delivering relief, supports skin recovery and minimizes peeling, infuses stressed skin with calming, revitalizing nutrients and eases discomfort of irritated, sensitive skin. -Conditions and soothes skin while delivering relief with ultra-hydrating Aloe Vera and cucumber. Apply generously after tanning and bathing.Massage in a circular motion.